I've just read an interesting short article about modern takes on "Passion" musical 'genre' that seemed long-gone until Krzysztof Penderecki brought it up again in the middle of the last century. Passion of Jesus Christ became a subject of modern readings that would often omit entirely the religious message and search for more modern and alternatives readings - like "Jesus Christ Superstar", like controversial "Last Temptation of the Christ", but could also go way back before the time of Bach into the contemplative aura of medieval harmonies as in Arvo Part's "Passio". I thought about writing a short note about two jazz cds that fit well into this subject (both of them were played durig the last radio program too). Piotr Baron, a prolific sax player, quite respectable figure in Polish main jazz scene plays in a post-Coltrane vein (though on the mainstream side of the fence) and was never afraid of admitting, quite proud indeed, his faith and used it quite often as an inspiration (with previous CD "Bogurodzica" containing jazz readings of medieval Gregorian choruses being a good example). 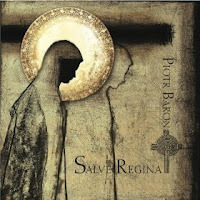 "Salve Regina"'s central part are readings of three different versions (the earliest coming from the XI century, the most recent one from XVIII) of "Salve Regina" hymn. 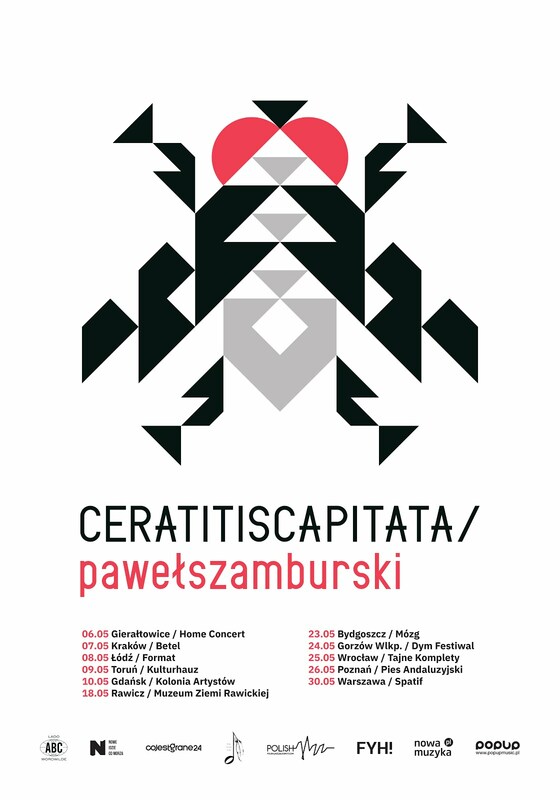 The album also features two traditional religious songs typical in Polish liturgy in the period of Lent - "Krzyżu Święty" ("Oh Holy Cross) and "Ja Jestem Zmartwychwstanie" ("I Am the Resurrection") and two Baron's originals - "Joshua 6" (referencing to Bible story of horn sound destroing the Jericho walls) and "Marysia" ("Little Mary") dedicated to his daughter. What makes this album valuable is obviously not its religious inspiration but the way it transfers into the music. With the addition of masterfull Wadada Leo Smith and omission of a chord instrument (leaving a classic free-jazz quartet format of double horn frontline - double rhythm section), Piotr Baron ventures deeper into free jazz regions and late Coltrane music than he has ever before (although he maintains his full and round tone on the tenor). The themes are stated clearly, without any changes, a sign of respect, the monodic unisono sound of Baron and Wadada is something of a pure spirit. And the solos dig deep, into the harmony, into the message, into the essence. Darek Oleszkiewicz, a highly demanded bass player, living in States, posesses a huge, deep and woody tone and it was the biggest surprise for me to hear (and see on the concert) him play this wild and free - reminds a lot Charlie Haden in his Coleman days (wonderfull, rich and raw sound of the arco intro to "I Am the Resurrection"). Marvin Smith adds well to this mix maintaining the pulse and pushing forward the soloists (check his playing during Baron's solo in "Salve Regina 1", and his own solo at the end of the track - powerfull and light at the same time). The addition of free rhythm section, in contrast with solemn and focused readings of the themes, give these songs emotional power that is hard to negate. It's surprising how well those two musical tradiotions fit together (the solemn melodies give also a slight blues feeling to the music - minor keys throughout, as in "Salve Regina 3" with light drum accents and greatly anchored bass). The music grows in a suite of reflections : beginning with dramatic and sorrowfull "O Holy Cross", through the peaceful melody of "Salve Regina 2" (stirred by Wadada's solo) until the joyful moment of "I Am the Resurrection". This is deeply felt, rich and spiritual music, coming out of religious faith, not forced, not artificial in any way. Coming also from the tradition of John Coltrane "Spiritual" - playing full of passion, engaged in a search of musical revelation. Recommended not only to completists of Wadada Leo Smith. PS. while both originals are nice I feel they break the unity of the narration, especially the joyful ballad "Little Mary" which is a complete change of pace, although nice arrangement and sweet harmonies (3 horns in the frontline) bring to mind traditional gospel spirituals. I tend to consider them 'bonus tracks'. "Joshua 6" starts dissonant to introduce a triumphant marching battle cry.